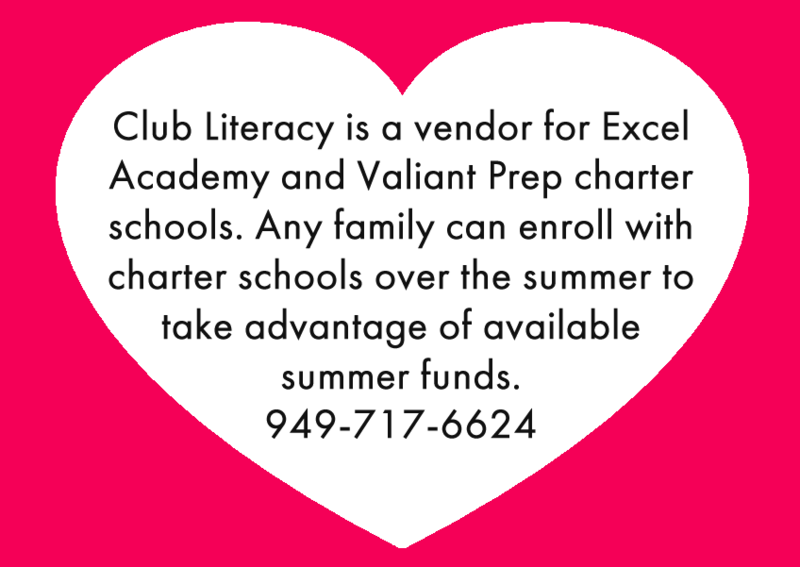 We are vendors for Excel Academy and Valiant Prep charter schools. Any family can be eligible for summer home school funds. The summer class schedule has been released. From our foundational core literacy classes to our specialty Books and Cooks, it will be a fun learning experience. A solid reading foundation is the key to higher academic performance and success in all curriculum areas. 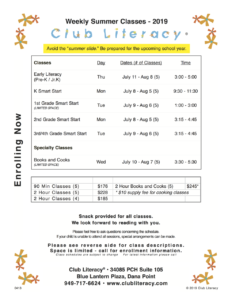 Club Literacy is a creatively designed learning environment based on the most current scientific research involving the language arts curriculum. Club Literacy provides individualized reading instruction and enrichment; while utilizing the best of children's literature. 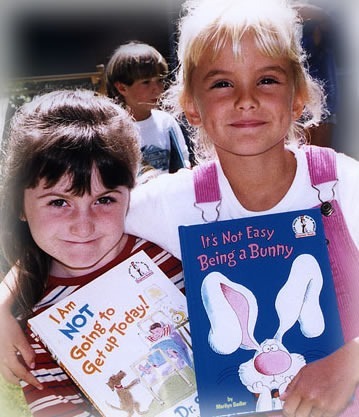 Club Literacy strives to infuse children with a love for reading, bringing books closer to the heart!